We took this tour prior to joining our Avalon river cruise. This tour was far better than any tour Avalon provided. We are so happy we took it. Tour leader was fantastic! Highly recommend this tour. It seems the majority of tourist were in the Town Square area and would miss a major part of Prague. Our guide was highly knowledgeable giving us an in-depth tour and commentary. Lovely. Guide was very knowledgeable. It is important for people to realize you don't tour INside the castle..which was fine for us. Runa was excellent. Very knowledgeable and friendly. Do a city tour first then this one. This was a more insider tour so take the House of Parliament and city tour first then this one last. It was great. Excellent guide, Runa Hellinga. Runa came and picked us up at the hotel at her own expense. We really enjoyed her knowledge and historical comments on the tour. Very informative guide Henk Glad he had us meet him at the Baltazar Hotel and Cafe. We left early so we could have lunch first and was very pleased we did. Have now booked 3 more excursions through Viatar for our next vacation -- hope they go just as well. 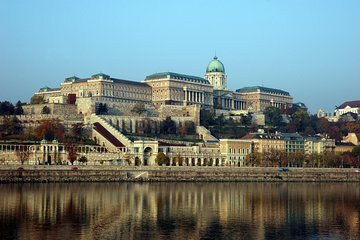 Our family has Hungarian heritage and three hours spent wandering about this historic part of Budapest having the history explained by our guide helped us appreciated the city all the more.